Amy Lord is Creative Director of Lord Whitney. Founded with fellow designer and dreamer Rebekah Whitney in 2010, Lord Whitney is a creative studio specialising in highly creative and original output with projects varying from ad campaigns and music videos, to immersive experiences and live events. 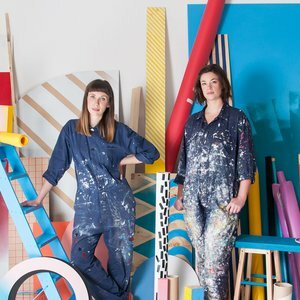 Over the past six years their team has grown to include producers, makers and designers, they have art directed large scale events, taken on commissions from both the UK and internationally, as well as lecturing in many Universities to under graduates.